Will be giving a radio interview this Saturday, April 2nd at 2:00 P.M. on Power of Perception radio network, Here is the link: http://www.blogtalkradio.com/…/power-of-perception-writers-… and the call number is 516-590-0357. I will be divulging a new revelation about the Zodiac/BTK that has never been released to the public. If you miss it, I will post it later on Tumblr. Hope you all are having a great week! The next Zodiac murders occurred on December 20, 1968 at Lake Herman Road about 30 minutes from Travis Air Force base. 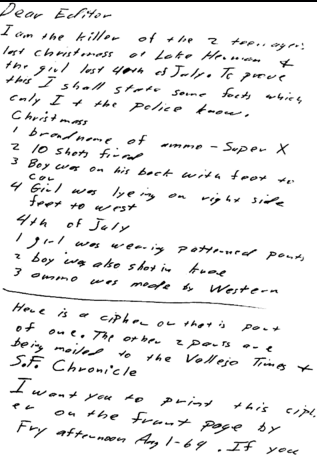 Notice how Zodiac wrote this letter about six months after the murders yet gives stunning details of the crime scene. 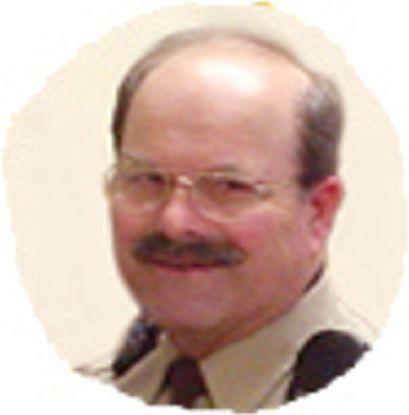 Dennis Rader/BTK took polaroid pictures of his crime scenes. Rader also admitted to an FBI agent that he had purchased a camera overseas and used Air Force base darkrooms to develop his pictures. 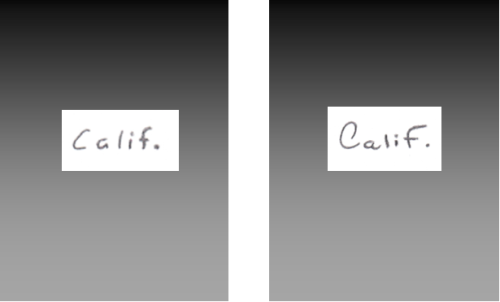 Rader also used terms such as north and west. He also abbeviated his months the same Aug, Oct, Sept, etc. Rader also admitted he purchased a 22 Colt Woodsman overseas. 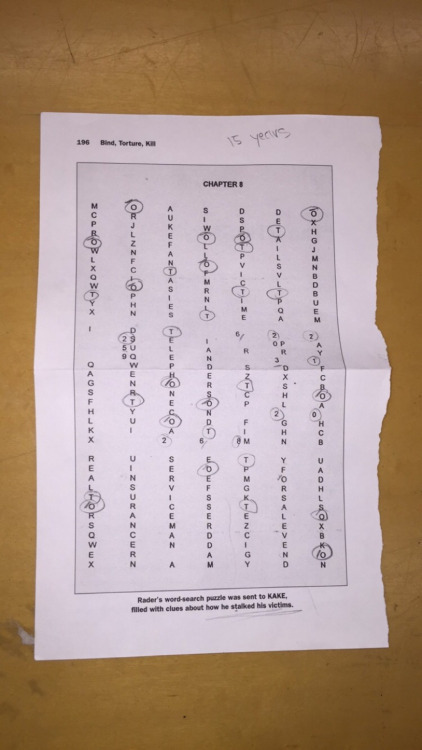 Both Zodiac and BTK were horrible spellers, numbered their pages the same, called police and left the phone dangling at the phone booth. Both men used taxis and victims reported seeing the men “shake” with nerves. The next murder occurred on October 30, 1966. 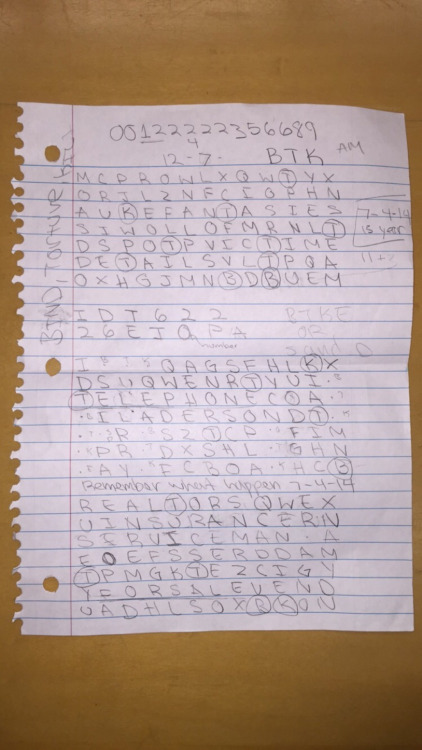 The Zodiac murdered a young college student. Of note, BTK/Rader frequented libraries and Zodiac also stalked women at libraries. There was a watch found at the scene linked to the military. Zodiac wrote in his letter that he “choaked” (notice the misspelling) this victim and disabled her vehicle. Of course we know BTK, was a “strangler.” He also disabled his victim’s phone lines and a vehicle. Zodiac in this case disabled the victim’s vehicle by pulling out a distributor wire. This college library was a short drive, 20 minutes or so from March Air Force base, traveling along a major highway. 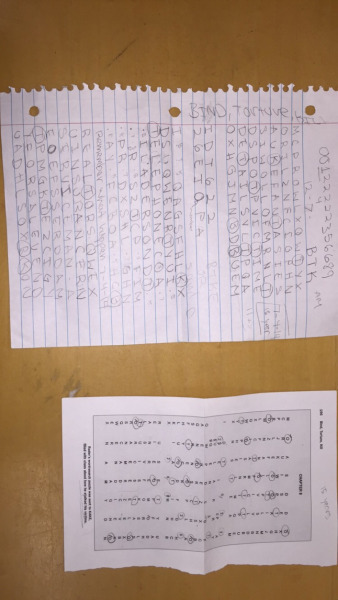 Zodiac sent letters to the media, police, and the victim’s family members just as Rader/BTK did in Kansas. Zodiac also left a poem on a desktop inside the library. 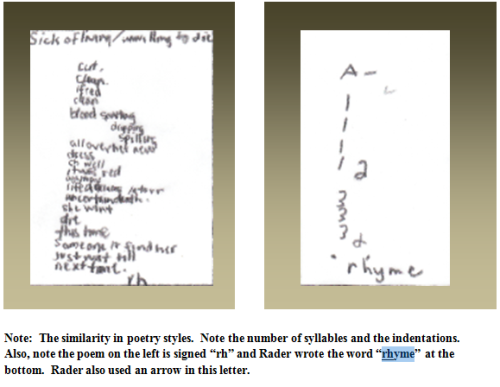 Check out Rader’s use of poetry in this letter he sent from jail. Fascinating!! 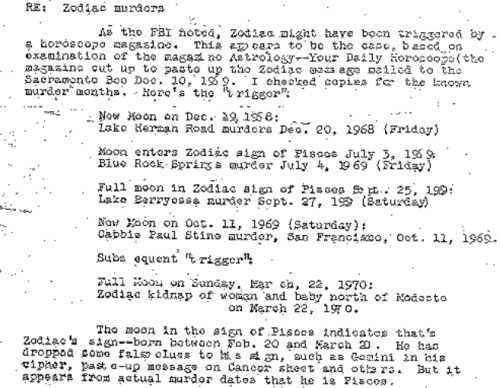 Person wrote the FBI years ago & predicted the Zodiac was a Pisces, Dennis Rader used astrological terms in some of his jail mail such as waxing and waning of the moon,etc. Wonder if his murders fit this Pisces/moon patterns, interesting! their first TV set in 1955, when Rader was around ten years old. The Zodiac had brought a knife, a gun, and pre-cut rope ( BTK’s hit kit! ) BTK also cut some of his female victims bras/tops, exposing their breasts. BTK also instructed his female victims to bind male victims. Dennis Rader had a motive to kill the female and the male. He must have been jealous of Frankie Avalon taking “his girl” Annette Funicello. @black-sphere-eyes found this BTK (Dennis Rader) stuff in the Children’s section of her library. Pretty creepy. Does anyone know how to find out the IP adress of a deactivated Blog? Someone just told me that they plan to commit suicide today and then deleted their Blog! Thank you so much for posting this and I am very grateful that your followers are open minded to the theory. 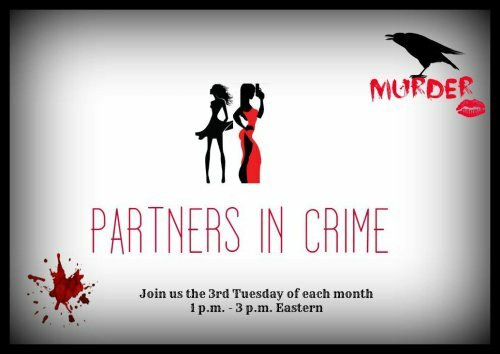 I’ve been doing some thinking and I really want to be able to use my blog and the platform I have here on Tumblr to promote other true crime blogs. If you’re interested let me know. I really want to help everyone get the followers they deserve. Hence the Zodiac murder of Paul Stine, Rader hailed a taxi from Travis Air Force base and murdered the taxi driver. Rader also later took a taxi to one of his crime scenes in Kansas. Hello out there. I have some follow up research that I am conducting and am hoping there is someone out there that can help. Anyone serve in the United States Air Force from 1966 to 1970? I read your book and seems it is obvious you have found the killer. Why hasn’t there been anything in the news about it? I read your book and it seems obvious you have found the killer. Why hasn’t there been anything in the news yet about it? Thanks for your question Steven Cutter. There have been many books written about the Zodiac killer and perhaps this is somewhat of a “boy that cried wolf” phenomenon. The media and the public may be incredulous in the beginning because they have been let down so often in the past. I do believe eventually though the truth will prevail. I hope that answered your question. Great question Madi. Yes, the Zodiac killer is still alive which will come as a big surprise to many. A lot of people have speculated that because no one has heard from him in so long that he is deceased. He has killed people under a different name than Zodiac but he is not in a position to hurt anyone anymore. I hope that answered your question. Thanks for asking.